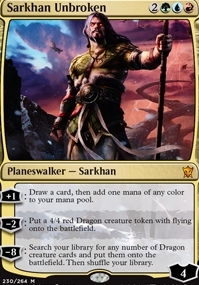 Sarkhan Unbroken ($16.08) Price History from major stores - Dragons of Tarkir (Foil) - MTGPrice.com Values for Ebay, Amazon and hobby stores! Card Text: +1: Draw a card, then add one mana of any color to your mana pool. 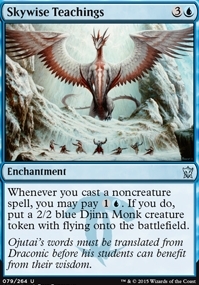 -2: Put a 4/4 red Dragon creature token with flying onto the battlefield. -8: Search your library for any number of Dragon creature cards and put them onto the battlefield. Then shuffle your library.